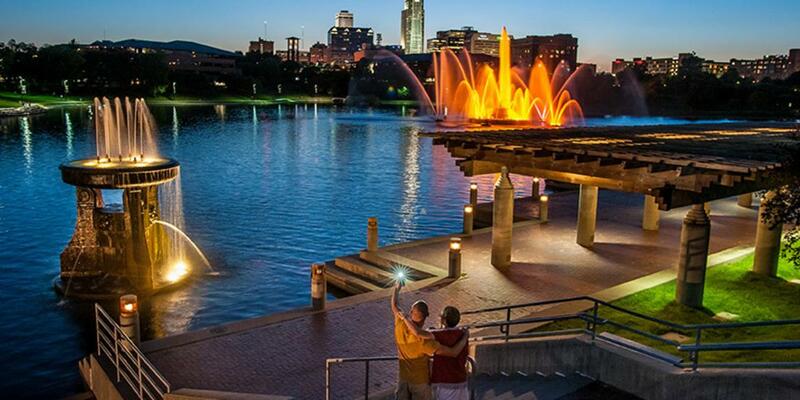 Catch the spectacular Heartland of America Fountain with its 320-ft water jet and light show. Lewis & Clark Interpretive exhibits, WWII and Airborne Memorial Sculptures and a pedestrian bridge connecting to the Lewis & Clark Landing. Gondola rides by Heartland Gondola. Located across the street from the historic Old Market area. Pet friendly outdoor areas.